Order a film, made by a magazine, to learn about television! N. Y. Fire Dep’t. in Action. Secrets of the U.S. Weather Bureau. 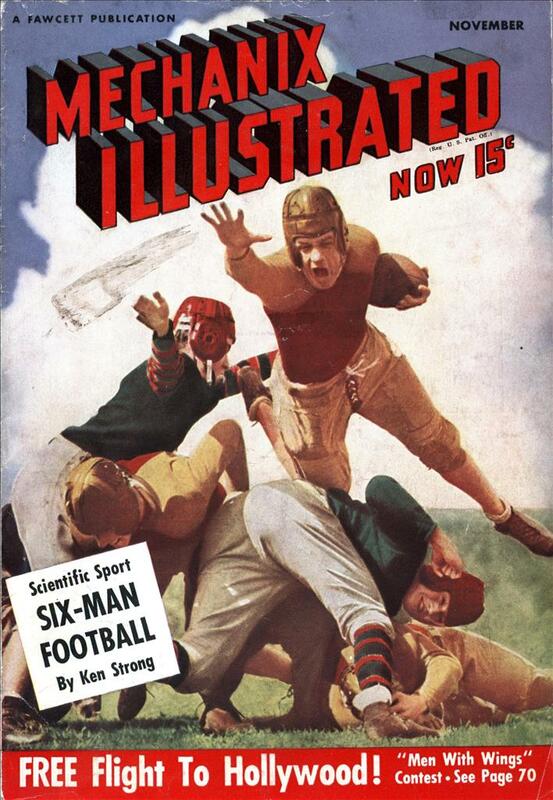 Mechanix Illustrated No. 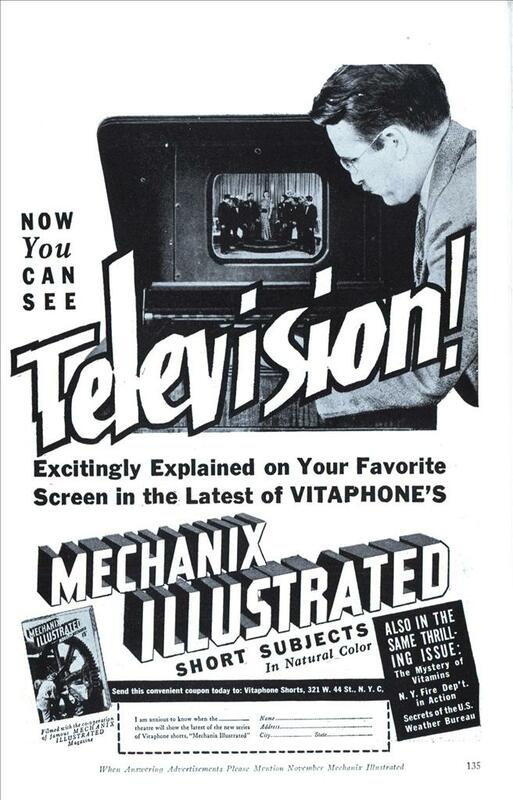 2 (Vitaphone: [E.M. Newman]- Ira Genet; narr: Jean Paul King) c (Technicolor)-10m-(DC: Color Parade)-Jan 7, 1939 (©-Dec 12, 1938) Subjects include weather forcasting, synthesizing vitamins, television and fire alarms. I’ll search archive dot org for it later. This doesn’t seem self-contradictory to me. After all, that was when television was new, and not only did most homes not have it, but one couldn’t even go to the local department store to see a television. Two decades later, one would still have to watch a television documentary to see a computer; is that strange too?